I’ve always wanted to travel full time. I imagined it would finally happen when I retired. I would live the transient life of adventure and see the world. It was all very romantic in my head. I’m glad we’re traveling now, because if there’s one thing that the last five weeks have taught me, it’s that there’s a lot of things I won’t want to do when I’m 70. Namely, climbing steep hills and scrambling over wet rocks. If I hadn’t experimented with traveling this summer, there’s a good chance I would’ve wasted a lot of time and energy stressing over the fact that I wasn’t on the road. I would’ve overlooked the good things about home in favor of dreaming about traveling. It’s the “grass is always greener” syndrome. I still love to travel, but I feel I should be completely honest about the pros and cons of traveling. With that, here’s four things I learned this summer while dragging around a backpack, washing my sweat-soaked clothes in a sink, and occasionally saying nasty things to my adventure partner. 1. Visiting historic sites is overrated. The first thing anyone does when they visit a new place is map out all of the sites of importance and make it their mission to see them. This makes sense. 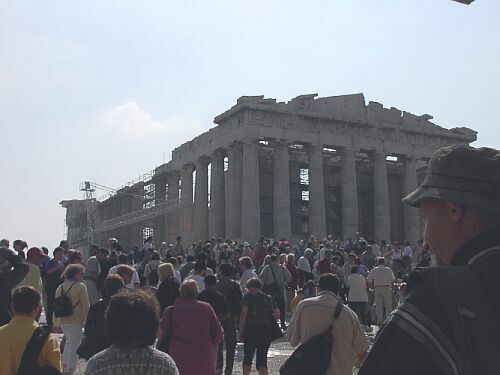 Why go to Athens if you’re not going to see the Parthenon? I’m not saying that you shouldn’t go and see the leaning tower of Pisa if your heart desires, but here’s the thing: if you find yourself feeling disappointed or underwhelmed, that’s ok. It’s not a sign that you’re not “getting it” or that you’re unable to recognize greatness; it’s that you’re trying to appreciate the past by visiting a place in the present. The reason we want to visit these amazing places is because they have historical significance. It’s not so much about where it happened as what happened. For centuries, the Roman Forum was the heart of the city. Everything of importance happened at the Forum. You can walk in the footsteps of Cato the Elder, Julius Caesar, Marc Antony, and Marcus Tullius Cicero. That was the past. The footsteps surrounding you today are of less impressive men, and there's going to be lots of them. If you’re visiting the Parthenon because you want to impress your friends with pictures on your Facebook wall, you’re going to be disappointed. You need to visit these places because they’re important to you, not because they’re important to someone else. If your heart’s not in it, you’ll be doubly pissed as you pour sweat and dodge aggressive salesmen trying to sell you overpriced stuff you don’t want. Another reason you may find yourself wishing you’d saved your entrance fee for another round at the Irish pub is that we’ve been spoiled by technology. Thanks to the Internet, you’ve already seen every close up shot that any professional photographer could deliver. With a few simple clicks, you can see the individual brush strokes on the ceiling of the Sistine Chapel. You can take an HD virtual tour of some of the greatest monuments on Earth, and you’ll get to see more detail than you’ll ever see in person. When you visit a monument in person, you’re going to be fighting through crowds of other tourists trying to get a picture that doesn’t have someone’s mullet in it. Additionally, most national treasures are roped off so that you can’t get anywhere near it, in the hopes that you won’t climb on it, write your name on it, or steal a part of it. Take Stonehenge, for example. 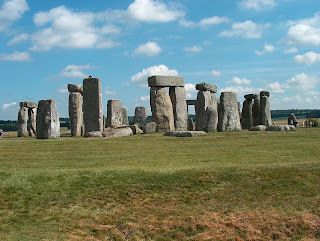 You can get an excellent view of Stonehenge from anywhere in the surrounding area. You can also pay £7.80/person (~$12/person) to visit Stonehenge. This visit gives you the chance to stand behind a rope and stare out into the distance at the circle, much like you can do in the parking lot for free. Your entrance fee also gets you an audio recording that explains how they still have no idea why/how it was built. Fascinating. Some say it was aliens. Others disagree. Museums are another place that can be a let down. 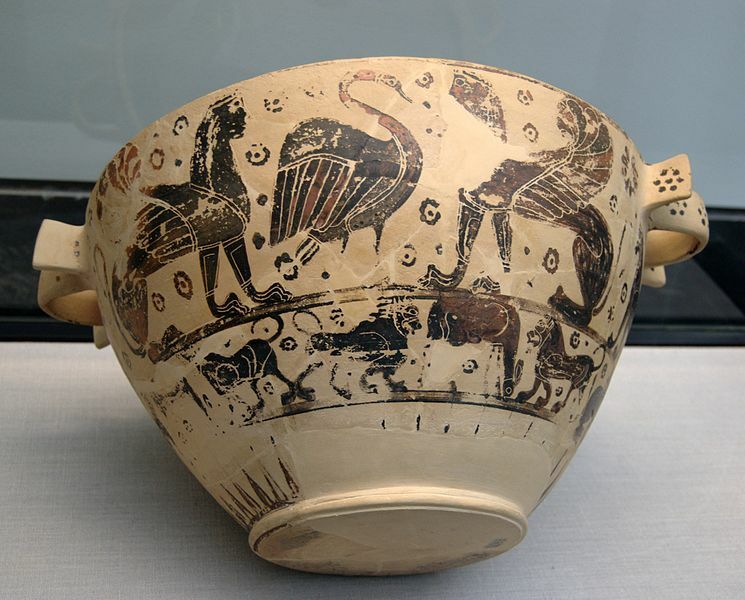 As a nerd, I love a good museum, but I’m going to say the following in all honestly: once you’ve seen an exhibit’s worth of ancient Greek bowls, you really don’t have to see anymore of them. You can cross that one off your bucket list without feeling like an uncultured swine if you don’t want to see anymore. After the first few hundred, you get the idea. Everyone has their own personal list of must-see places. For me, it’s cathedrals and on a somewhat creepier note, grave sites. Yup, I like to visit the final resting places of historical figures. I have a weird obsession with pondering how a person can create a masterpiece, discover a scientific principle, or rise to greatness, and yet still end up in the same place that we all eventually find ourselves. It’s that whole “one life to live” concept personified. I love cathedrals for a few reasons. They’re quiet, they’re usually the perfect mix of imposing yet beautiful, and the work that went into their construction is simply awe-inspiring. There’s nothing like standing in the echoing grandeur of a 12th-century building and marveling at how mere mortals were able to create such a massive, intricate structure without the aid of modern technology. For me, nothing will be the same as visiting a grave or a cathedral in person. It’s up to you to define your own list, and that list might not include the Louvre or the Colosseum. The important thing is that when you do visit your must-see places, you’ll know you’re visiting because they’re meaningful to you, and not just because they’re in a tourist guide. I haven't yet, but I would love to see it! We realized this summer that all of our travel has happened outside of the states. Seeing as we're moving home soon, we've made it our mission to start exploring our own continent for once. I haven't seen any of the major national parks, the Grand Canyon, or Niagara Falls. I haven't been anywhere in the south or on the east coast. We've got some road trips to accomplish! I kind of have the sentiment of this post regarding the Grand Canyon and Mount Rushmore. It's like we *should* see it since we're near them quite often but I don't get any personal excitement from the idea so we never get around to it. I'd love to see Niagara Falls though. Mount Rushmore is completely overrated, but the surrounding area is awesome! Deadwood, the Reptile Gardens, the Sturgis Bike Rally, definitely worth a long weekend. It's almost enough to make you forget you're in South Dakota.